Lava has unveiled yet another budget Android smartphone and has followed Micromax in bringing big screens to the budget phone category. 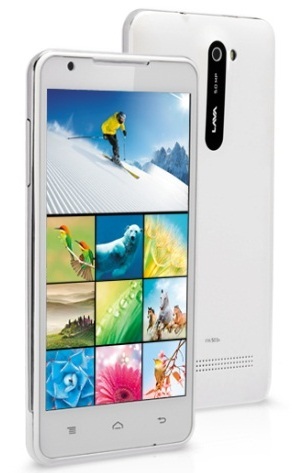 The Lava Iris 503e has been listed on the official website and is available with online retailers for Rs. 6,749. Lava seems to have kind of become reticent about prices, since the predecessor of the Lava Iris 503e – the Lava Iris 503 was priced at Rs. 9,999 in its heyday. This phone is a minor upgrade only – it offers dual-SIM capabilities, Android 4.2, a 5-inch FWWGA screen unlike the Iris 503’s IPS display, an 3-megapixel rear camera, 1.3-megapixel front cam, 512 MB RAM and 2000 mAh battery. The smartphone comes with Assassin’s creed and Cricket Fever pre-installed. The low-end phone has been invigorated recently with some phones with amazing specs available. Another stunner is the Micromax Bolt 075, which offers a 5.2-inch screen and 8-megapixel camera.